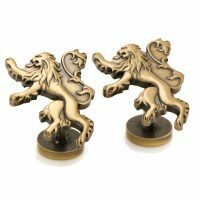 One of the Great Houses of Westeros, House Lannister of Casterly Rock, has a golden lion as their seal, which you can wear on your sleeve with these Game of Thrones Lannister Lion Sigil Cufflinks. 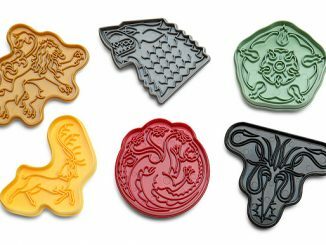 Proclaim, “Hear Me Roar!” and represent your allegiance to House Lannister with these antique finish die-cut cufflinks. 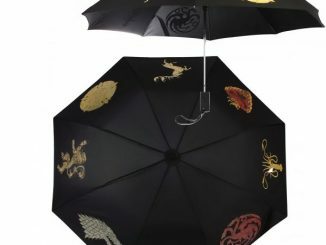 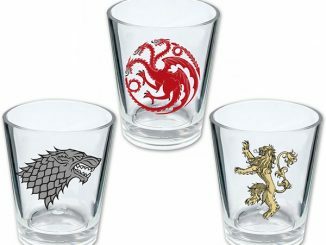 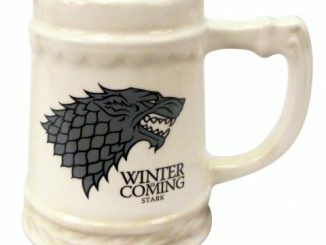 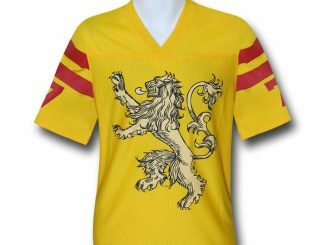 They are officially licensed by Game of Thrones, and the fixed backing even bears the logo. 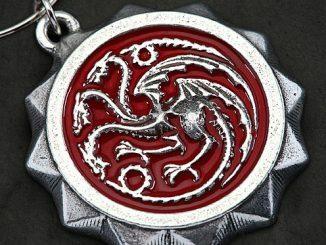 They measure about 3/4″ by 7/8″ and are plated in gold. 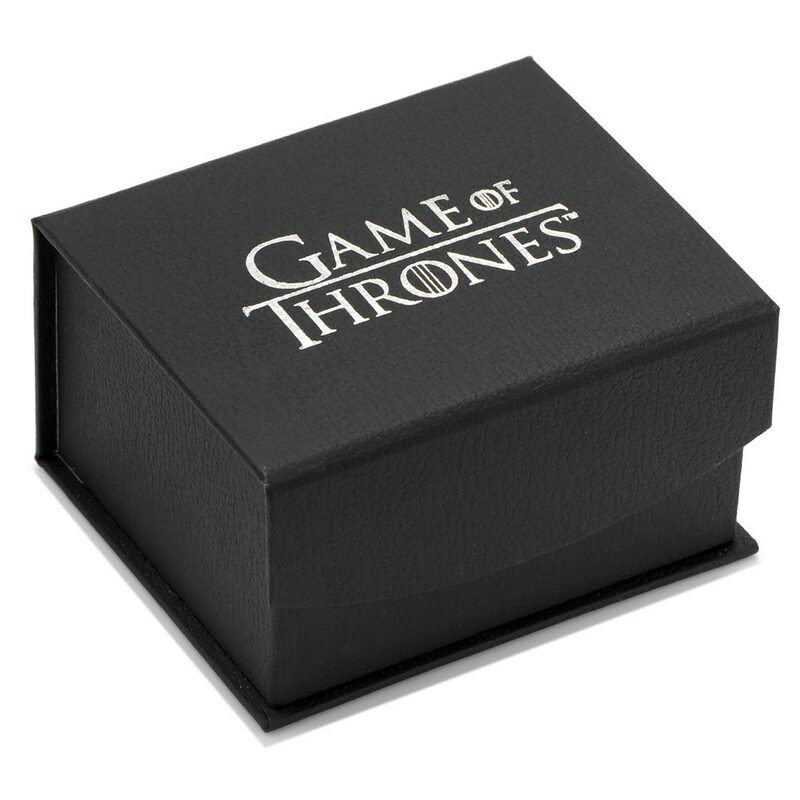 If you’re looking to upgrade your game, this item is for you. 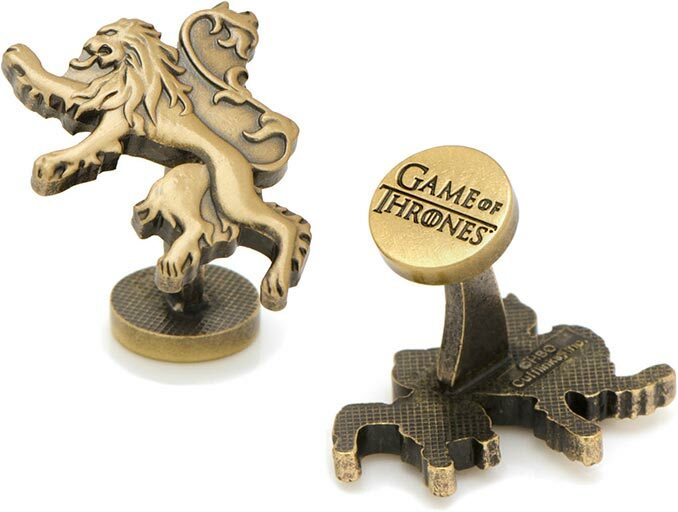 This set of bronze cufflinks from Cufflinks, Inc. is for anyone proving their allegiance to House Lannister. The front of the cufflink features a cut-out of a lion, allowing the detail of the image to come to life. 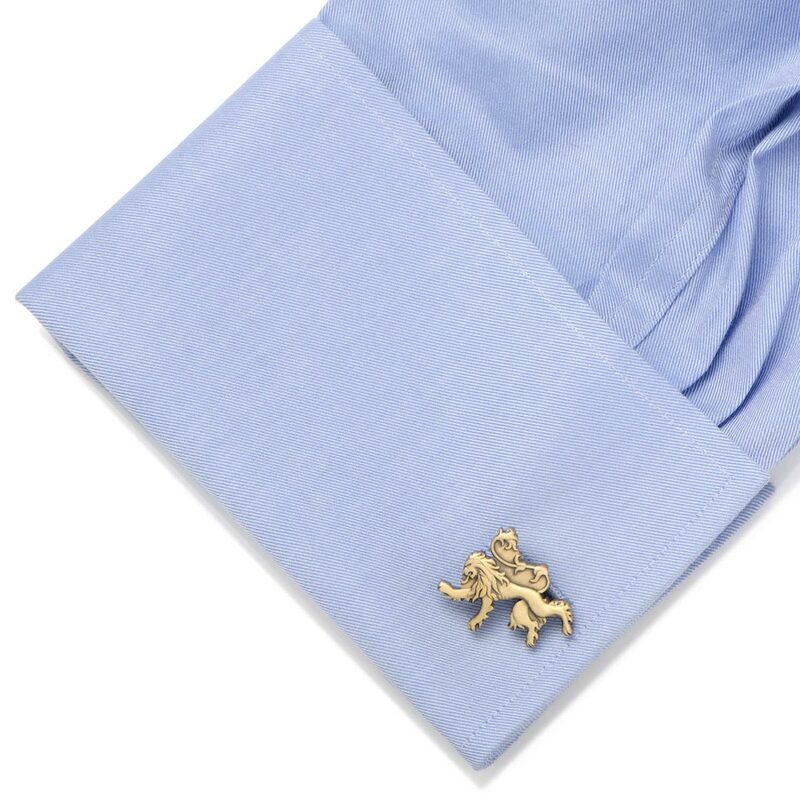 The backside of the cufflink is circular with “Game of Thrones” etched in a darker color to add visibility – an extra subtle detail that completes your dapper look. 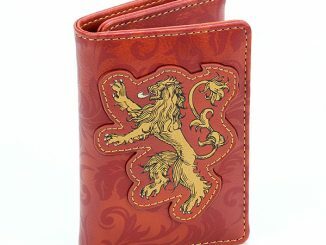 Buy these Lannister Lion Sigil Cufflinks for $64.95 directly from the HBO Shop. 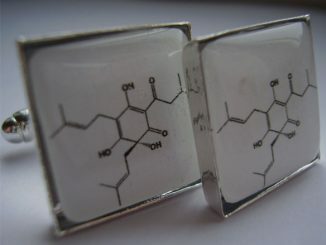 You can also find them at Cufflinks.com. 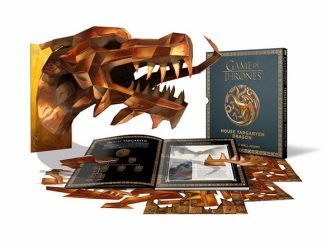 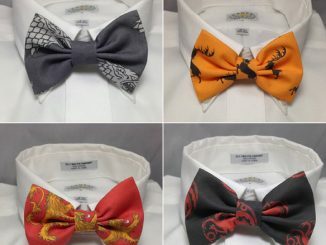 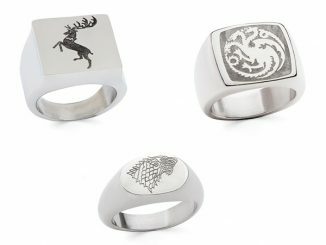 If your dad is a Game of Thrones fan, this would make a great Father’s Day gift, and it even comes in a nice gift box.